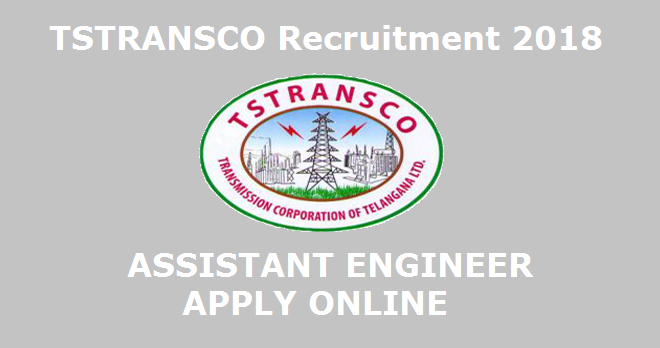 TS TRANSCO(Telangana State Transmission Corporation Limited) Recruitment 2018 - Apply Online for Assistant Engineer. The Telangana State Transmission Corporation Limited has recently released the notification for Assistant Engineer. The interested candidates can apply the application before 16th Feb 2018. The fresher and experienced candidates can apply the application for TSTRANSCO (Telangana State Transmission Corporation Limited) Recruitment. For more details like Educational Qualification, Age limit, Selection Process and How to apply, etc details provided below. The Candidates should have B.Tech/ B.E or equivalent Bachelor Degree from recognized University/ Institute. The Candidates should have minimum 18 Years and maximum 44 Years as on 01 July 2017. For age-relaxation check the official advertisements. The Candidates Should have to pay Rs. 120/- for General Category and fee Rs 100/- for SC/ ST/and OBC Category through online mode. The Candidates are selected based on Written Test and Interview. The selected candidates will get salary Rs. 41155/- to Rs. 63600/- Per Month. The eligible and interested candidates can apply the application by visiting the official website: www.transco.telangana.gov.in. Click on the Careers page and select the related notification. Fill the details in required fields. Submit the application and Pay the payment through Netbanking, Debit/Credit Card. Download the hardcopy for further use. Application submission Starts: 01st Feb 2018. Last Date to apply the application: 16th Feb 2018.